In the last blog I wrote that humanity needs a new development paradigm: one that is not afraid to make the new and sometimes massive infrastructure investments needed to help us move back within the Planetary Boundaries. Today I want to write about one example of this. Port Augusta in South Australia currently has two coal fired power stations, Northern and Playford B, both burning locally mined dirty brown coal. The plants are old, highly polluting and need to close. They have a combined capacity of 760MW, producing 4,650GWh of electricity per year. One plan is to replace them with gas, but a much more popular and better solution is to replace them with renewables: six concentrating solar thermal power stations and 95 wind turbines. 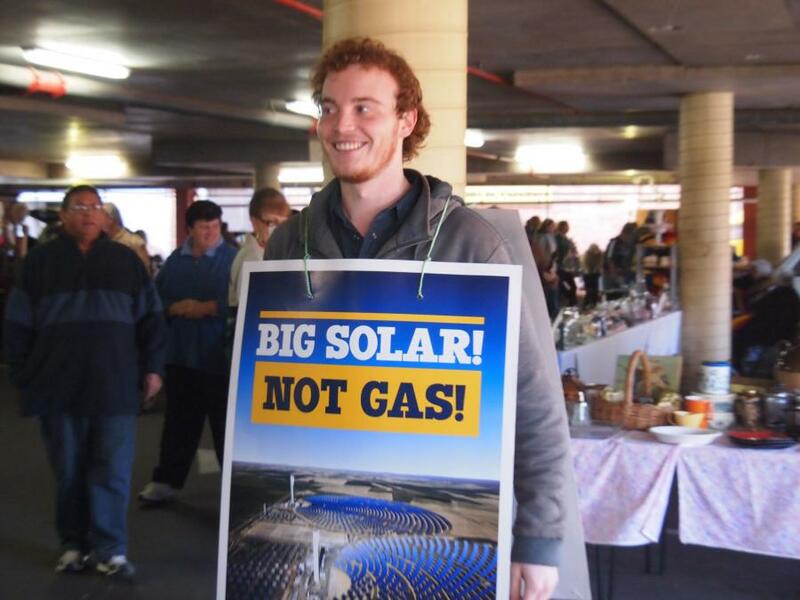 In a local poll 4053 people voted for renewables to only 43 for gas. During September a group of about 100 people made the 300 kilometre walk from Port Augusta to Adelaide to express their support for the renewable option. As humanity made the transition form the pre-industrial era into the ‘Fossil Fuel Era’, a process ususally termed the Industrial Revolution, certain places became synonymous with this process of change, and with the deployment of certian technologies: Coalbrookdale with blast furnaces and with the Ironbridge, Manchester with textile factories, Germany’s Ruhrgebiet the archetypical industrial conurbation. If humanity can make the transition to a more ecologically sustainable future it will be characterised by particular places making particular changes. Some examples spring to mind: the roll-out of concentrating solar power at Kramer Junction between 1984 and 1990, and its further development in Southern Spain from 2007 to 2012 or Denmark for a multitude of things from good governance to efficient energy use. This entry was posted in Business Investment, Climate Change, Energy, Environmental, Global on 16 October 2012 by Richard.